In the two days that have elapsed since my piece on this subject, the full extent of the Vatican’s doctoring of the letter from Benedict to Archbishop Vigano respecting the “theology of Pope Francis” has been revealed under growing public pressure for full disclosure. Beyond this speculation, however, an “unimpeachable” source had informed Magister that there was other censored language on the second page in which Benedict had indicated a refusal to endorse the books because of the dubious theology of certain German contributors. However, I don’t feel like writing a short and dense theological passage on them because throughout my life it has always been clear that I would write and …. express myself only on books I had read really well. Unfortunately, if only for physical reasons, I am unable to read the eleven volumes in the near future, especially as other commitments await me that I have already made. I am sure you will understand my refusal [il mio diniego] and I offer you cordial greetings. Now forced to admit to its fraud, the Vatican has issued a statement that only aggravates the offense, claiming that its deliberate act of concealment “was motivated by confidentiality and not by any intention to censor.” Please! If the letter was “confidential” then the Vatican has violated its commitment of confidentiality by quoting parts of it that serve its fake news narrative while hiding the other “confidential” parts. The Vatican has thus falsely presented as a public endorsement of “the theology of Pope Francis” a letter that Benedict intended to be private wherein he refuses to give any such endorsement. The Bergoglian dictatorship has no shame. A word to the wise: It is a risky business indeed to make definitive declarations about the mind or motives of Benedict, the reasons for his abdication, the situation in which he now finds himself, or the intention behind letters and other statements attributed to him by assorted Bergoglian mafiosi. 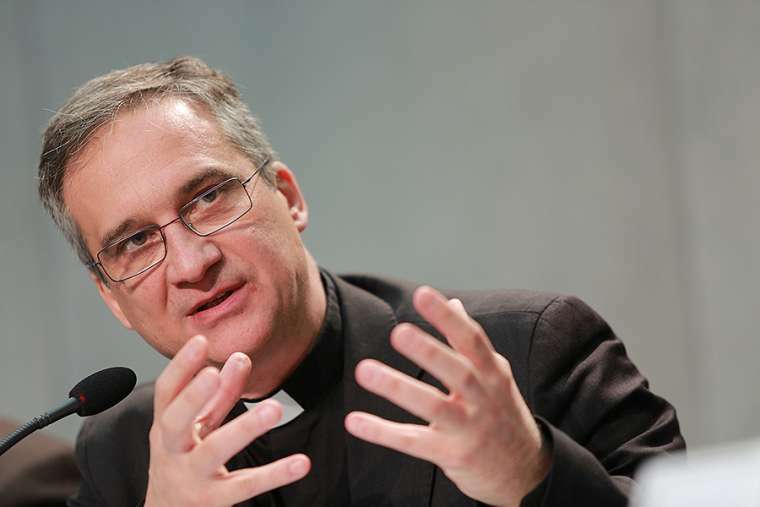 "The dishonesty reaches the point of presenting as a celebratory letter written on the occasion of the fifth anniversary of the pontificate of Francis (therefore destined for the public) a personal letter of refusal of a proposal (thus perhaps to be interpreted in the opposite way). I repeat, a personal letter (“personal,” “confidential,” was also written on the envelope that accompanied the letter) that as such should have remained private. Its publication is a clear violation of privacy, a theft."